The Maine PUC has issued final revisions to its rules governing retail electricity marketing. 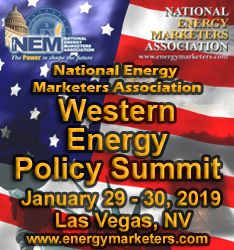 As first reported by EnergyChoiceMatters.com, chief among the originally proposed revisions under the rules was a ban on commission-based compensation for door-to-door sales. The proposed rule would have provided that, for in-person sales, competitive electric providers (CEPs) shall, "Not pay or otherwise compensate its employee or representative based on whether a potential customer accepts the CEP’s service." In not adopting the proposed ban on commission-based compensation for door-to-door sales, the PUC said, "The Commission notes that it remains concerned that this business model provides an incentive for in-person marketers to violate Commission rules, particularly in instances where a CEP may be offering rates that are above current standard offer rates." Another proposal under the draft rules would have provided that CEPs, for in-person sales, shall, "Record by audio all communications with the potential customer, commencing when the initial contact is made with the potential customer and ending when the employee or representative leaves the potential customer’s premises." Specifically, under the final rule, all competitive electricity providers, including aggregators and brokers, or employees or agents of the same, soliciting a potential customer in person at the customer’s premises shall, "Create a written log, including the full name or first name and associated identification number of the employee or agent, identifying the street address of each visited premises, retain the written log for at least 12 months after the date of the solicitation, and maintain the written log in a format amendable to electronic conveyance to the Commission upon request." The PUC also dropped from the file rule a proposal that the supplier would have been required to provide notice to the Commission and local police department in advance of marketing door-to-door, indicating the dates and times when the in-person solicitation would occur and identifying who would be going door-to-door. The adopted log requirement, noted above, is part of a new section of the rule setting forth requirements for the in-person solicitation of customers. This subsection does not apply under circumstances where a customer or potential customer has agreed to meet in-person prior to the competitive electricity provider arriving at the customer’s premises. Among other things, under the final rule, during an in-person solicitation the agent must, "Clearly state that the employee or agent is not working for and is independent of the potential customer’s transmission and distribution utility." In its order the PUC said that this disclosure must reference the specific utility by name. The PUC said that, "it concludes name recognition by customers of their specific T&D utility will assist consumers in their understanding of what product CEPs are offering, and what service they are not." The PUC dropped from the in-person sales rule a proposed requirement that the agent physically leave the premises before a TPV may be conducted. Instead, a CEP for an in-person sale shall, "Require its employee or agent to ensure the third-party verification call, during which customer enrollment is confirmed, is not influenced by the employee or agent by, including but not necessarily limited to, remaining silent during the verification call." For all sales, the new rules provide that, "Before entering into an agreement to provide service, each competitive electricity provider shall disclose in writing to the customer where the customer can obtain information with which to compare the service provided by the competitive electricity provider and the standard-offer service. The written comparison disclosure shall include information regarding how a customer can obtain information about standard-offer service rates, including a link to the Commission’s standard offer rates website page." Also implicated by the proposed rules was the applicability of the rules to aggregators and brokers. The PUC agreed that, generally, many of the rules shall be inapplicable to aggregators and brokers given that the rules relate to supplier-specific actions (such as renewals, termination fees). The PUC said that, "The Commission generally agrees with RESA’s and Patriot’s concerns with regard to distinguishing between CEPs’ provision of aggregator/broker services and CEPs’ provision of supply service, and notes that it does not, in many instances, read existing subsections of section 4(B) as applicable to aggregatory/broker [sic] service providers. The purpose of the new renewal and termination fee provisions is to inform customers of changes in supply contracts and to protect customers from exorbitant fees at vulnerable points in time with regard to their continued supply of electricity. Therefore, there is no policy reason to apply these provisions to CEPs like Patriot who engage in aggregator/broker relationships with consumers and do not engage in the sale of supply. Accordingly, the Commission has clarified the Rule to indicate Section 4(B), except for specified sections, applies only to entities licensed to provide generation service to residential and small non-residential customers." a. The website address and telephone number of the Office of the Public Advocate where customers can access information that provides independent information that allows customers to compare terms, conditions, and rates of electricity supply [the OPA lists a rate board on its site]. b. A statement that directs the customer to the competitive electricity provider for more information on the customer’s Terms of Service, including its specific terms, and that provides the telephone number of the competitive electricity provider. 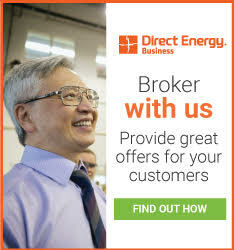 For customers on dual billing, the supplier must list this information on the supplier's bill. For customers on utility consolidated billing, the utility must list the information. The recently adopted statute also revised renewal and end-of-contract procedures. If a customer does not provide the express consent required by this section, the customer must be transferred to the standard-offer service. a. Each competitive electricity provider must provide written notice to its customers two times between 30 and 60 calendar days in advance of a renewal of service. The two written notifications shall be made electronically or by US Postal Service, but one of the notifications shall be by US Postal Service. The words “contract renewal notice” must be included in bold at either the top of a paper notice or in the subject line for notices sent electronically. Copies of the two written notifications, either in hard copy or electronically, shall be retained by the competitive electricity provider for at least 12 months from the date the second notice is sent. The renewal notices must include a standardized notice form, setting forth the requirements of the terms of service document upon renewal. 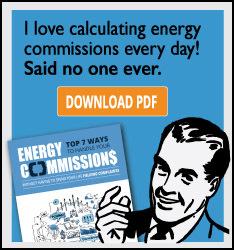 The Commission or the Director of Electric and Natural Gas Industries shall by order specify the standardized form. b. Terms of Service providing service at a fixed rate may automatically renew without the express consent of a customer at a fixed rate provided the term is not longer than the term of the expiring Terms of Service or 12 months, whichever is shorter. A competitive electricity provider may not, however, renew the Terms of Service at a fixed rate that is 20% or more above the rate of the expiring Terms of Service without the express consent of the customer obtained in accordance with subsection 4(B)(5). c. Terms of Service providing service at a fixed rate that will renew at an Indexed Variable Rate may automatically renew without the express consent of the customer obtained in accordance with subsection 4(B)(5), provided that the term of the renewed Terms of Service does not exceed the term of the currently existing Terms of Service or 12 months, whichever is shorter. d. Terms of Service providing service at a fixed rate that will renew at a Non-indexed Variable Rate may automatically renew only on a month-to-month basis. e. Terms of Service providing service at a variable rate that will renew at an Indexed Variable Rate may automatically renew without the express consent of the customer obtained in accordance with subsection 4(B)(5), provided that the duration of the renewed Terms of Service does not exceed the duration term of the currently existing Terms of Service or 12 months, whichever is shorter. f. Terms of Service providing service at a variable rate that will renew at a Non-indexed Variable Rate may automatically renew only on a month-to-month basis. g. Terms of Service providing service at a variable rate that will renew at a fixed rate may renew automatically without the express consent of the customer obtained in accordance with subsection 4(B)(5), provided the duration of renewed Terms of Service does not exceed the duration term of the currently existing Terms of Service or 12 months, whichever is shorter. Competitive electricity providers shall not impose a termination fee for any Terms of Service that was renewed without the express consent from the customer obtained in accordance with subsection 4(B)(5) of the rules, related to Verification of Affirmative Customer.